A new tradition was just posted at CafeTraditions.com involving a special Christmas morning breakfast tradition. 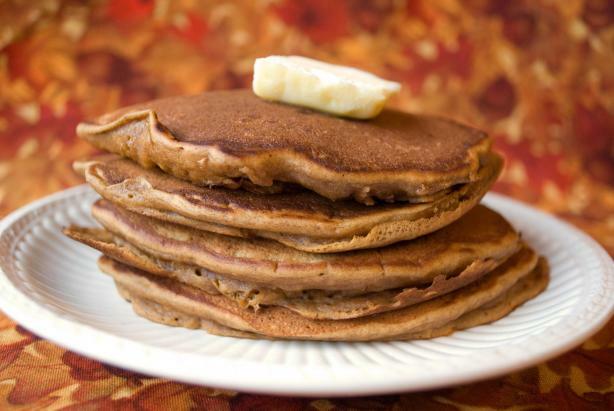 Georgette posted that she has been making the same yummy gingerbread pancakes with warm maple applesauce since she first got married and it's the only day of the year when she serves the special pancakes. First, I have to say I'm a bit intrigued with gingerbread pancakes so I found a recipe at Food2.com. Second, I love the idea of serving a special Christmas morning breakfast. While I don't know that mine will be gingerbread pancakes, I'd like to find a special recipe that we could make part of our Christmas morning. Do you have special breakfast that you serve on Christmas morning? I'd love to hear your ideas.